Simpson Millar's Holiday Illness Solicitors are renowned for their expertise and accept claims on a 'No Win No Fee' paying basis. If this is the first time you have considered instructing lawyers to pursue a holiday illness claim you are likely to be concerned about how much it might cost. You will not pay for our services unless we successfully recover compensation for you and you have taken our advice about insurance. Provided we believe you have a valid claim for compensation, holiday illness complaints valued at over £1000 are suitable for No Win No Fee funding especially if there is no alternative means of funding is available to you. Our solicitors and lawyers are specialists in helping people who have suffered from an illness on holiday or during a sickness outbreak at a hotel abroad. Being ill on holiday is distressing and expensive. We will do all we can to redress this and ensure that you receive the maximum amount of compensation possible from your tour operator. How Does a 'No Win No Fee' Agreement Work? Provided your holiday illness claim has merits and we agree to pursue your claim on a "No Win No Fee" basis, we will only be paid at the end if your holiday claim is successful and we recover compensation for you. If we are unsuccessful we simply do not get paid. If we win, we are paid by your tour operator, recovering our basic costs and expenses from the other side at the end of your claim. Furthermore, because our Holiday Illness Experts risk not getting paid for the work we do when we take on travel claims we charge a success fee in the event that we successfully win compensation. Success fees are only paid after we win and the sum charged will not exceed 25% of any compensation above the first £1000 you recover. You will receive 100% of the first £1000 of relevant damages recovered which is ring fenced. 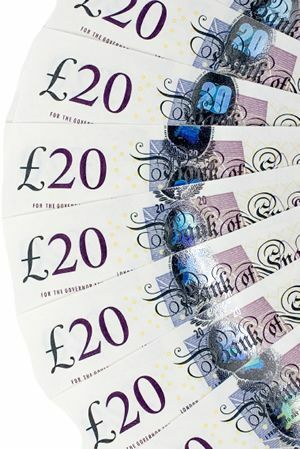 We guarantee that you will only pay a success fee on the amount of compensation we recover which exceeds the first £1000 which is yours to keep. Provided you have taken our advice on insurance, even if we do not recover all our expenses and costs from your tour operator or opponent at the end of the claim we will not ask you to pay any shortfall in our legal fees. Expenses for medical reports, court fees etc, are also recovered in full or part from your opponent. What if you are unsuccessful and we discontinue your claim? After the Event Insurance (ATE) is taken out to protect you and costs from only £150 plus 10% tax it ensures that if your holiday illness claim is unsuccessful you pay nothing. If we are unable to settle your claim amicably with your tour operator and we have to issue court proceedings to further your claim, there is the risk that you could lose your claim or discontinue it. Whilst in these circumstances you would not pay us a penny, you may have to pay some of your opponent’s legal costs and your own expenses. Our Holiday Illness Claims lawyers are authorised to arrange suitable ATE insurance for you to cover these risks and will recommend a policy to suit your requirements. You only pay for the insurance at the end of the holiday claim if you win. If you are unsuccessful you pay nothing as the insurance will cover your disbursements, any adverse costs, and right off its own policy premium. Looking for a Holiday Illness Specialist? Choosing a law firm to represent you is difficult. You need to ensure that the firm you select are experts and have the resource to see your case through to a successful conclusion. At Simpson Millar we have a team of lawyers who have a vast experience of pursuing foreign holiday illness claims and sickness abroad cases involving hotels around the world. Find out if you can make a No Win No Fee Holiday Illness Claim. If you have been ill on holiday or sick at a hotel abroad because of food poisoning or dreadful standards of cleanliness and someone was to blame then you have a strong case for compensation. There is no obligation to pursue a holiday illness claim just an opportunity for you to find out more from specialists who can advise you on the law and your rights. Simpson Millar LLP are national law firm and our Travel Team are specialist holiday illness and sickness claims lawyers and we can help you no matter where you live in the UK.